Remove Footer Credits in Blogger Templates without Redirecting - XpertShout Yayın bulunmaktadır. Easily remove footer credits from any blogger template. Now a days template designers create free and paid both templates. Paid templates have some advantages while free templates have not any advantage like paid version specially advantage of footer credits. 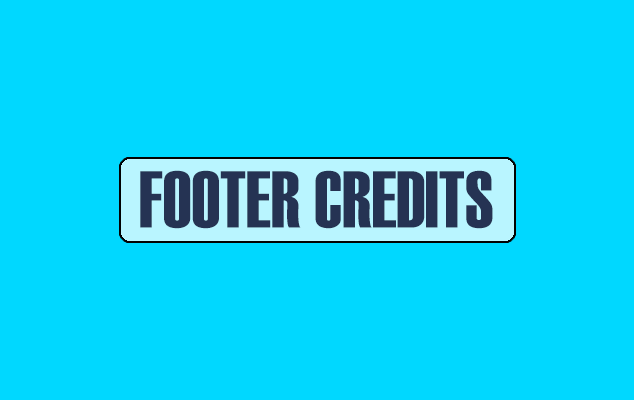 Some templates footer credits are easy to remove because that footer credits were of simple coding. You have to just remove that lines. While in arlina design templates or any other highly protected templates it is not easy to remove footer credits if you remove Created by line then it will redirect to template designer website. So, today i will tell you simple one step by which you can hide designer name without redirecting specially in arlina design templates. Go to blogger template HTML editing place. Then find Created by or Designed by words or related to below given line. So you can see there ID or may be named as Class as highlighted in above html. Here be_sites is my id or class. But in your template it can be change. So, keep in mind. You simply have to done with that id name as in below script. Highlighted HTML is my id. You have to replace that highlighted HTML with your id or class name. Now put that script in CSS section like below css menu or css post wrapper etc. Congratulation! Your footer credits are hidden now. If you find any difficulty comment us.